You can choose between the standard radio taxi, which are the white and blue painted cars at the taxi ranks, or private taxi transport companies like us. One of the benefits of the latter is that you can pre-book online so you don't have to wait at empty taxi ranks at the airport. All our drivers are bi-lingual in English and Spanish which saves you struggling with difficult conversations. The driver will pick you up in the arrivals hall and even help you with your luggage! Prices are cheaper, or the same, as the standard transfer transport companies. Be aware that there are quite a few taxis operating without the necessary licences and ask excessive rates for your transfer. To help you out a little at the airport we have created a travel dictionary with useful English/Spanish terms. You will find more information about Malaga Airport here. The bus stop is situated just outside Terminal 3. The most important bus lines are the ones departing from Malaga Airport to Malaga city. This express line departs daily from 7am, every 20-30 minutes and the latest bus departs at 12pm (23.30 bank holidays). You will find more information about departure times from Malaga and/or the airport on the website of EMT. There are also buses departing to Marbella, Santa Amalia (Alhaurin de la Torre) Seville Airport and Granada Airport. The train station at Malaga Airport is situated just outside Terminal 3. By train you can get to Malaga's main train station or all the way to Fuengirola (end-station). It will take you around 35 minutes to get to Fuengirola and the train departs every 20 minutes from 5.42 am onwards until 10.42 pm. You can get more information about train transport schedules at the official website of Renfe. You can rent a car easily. 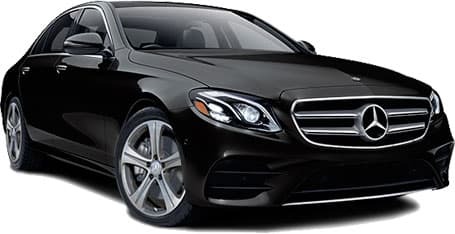 At the Airport there are several car hire companies, such as Auriga Crown, Malagacar.com, rentacarmalaga, Autopro, Sixt, Atesa, Carjet, Goodcarhire and much more, with prices for one week starting at only 75 Euros. Their prices are inclusive of all taxes and fees, full insurance coverage, 24 hrs roadside assistance, unlimited mileage, free second driver etc. You can even book online without a credit card. In high season we would recommend that you hire your car in advance to ensure it's waiting for you at arrival. If you decide to rent a car, make sure you bring the necessary documents such as driving license, passport/identity card (only valid for European citizens) and a valid credit card. Non-European citizens also need to bring an international driving license.